Crystal’s distinctive vocal style and perfect pitch is still there; but this is also a bit of a family project. While husband/manager Brian Ray has been part of her music for a long time, daughter Izzy and son Solomon who play and get pick up a few writing credits, with Solomon also getting the producer credit for Plain and Simple. Many of the songs — such as Revelation and Even the Rocks Cry Out and I Am — represent direct borrowing from scripture, or allusions to powerful Biblical texts. 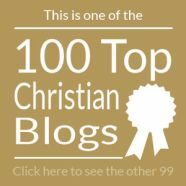 The lyrics also connect to everyday Christian living; most of us can relate to a line like, “I don’t wanna fall again,” or the lines in “All Day Long” which contrast the tendency and temptation to sin with the overarching abiding hope in the Lord. With honest songwriting and passionate performance, consider this one for yourself or someone who could use a spiritual lift. Rummage through old piano benches in church basements and you’re almost certain to locate a classic chorus sheet consisting of short stanzas written in the first half of the last century. By today’s standards, the material does not hold up well, but it serves as a reminder that what we call ‘choruses’ are nothing new. Not that this should come as any surprise. Twice in the new testament, Paul uses the terms “Psalms, Hymns and Spritual Songs.” While one commentator has suggested that these are just different words for the same things, most others agree that the variance in meaning suggests a graduated difference in both style and substance. To be sure, some of the choruses from times past endure in Children’s ministry, while others are preserved as camp songs or ‘retro’ youth ministry favorites. But whether it’s “Constantly Abiding,” “I Love Him Better Every Day,” or “I’ve Got Peace Like a River;” there is a fairly distinct line at which some of these traditional songs end, and our modern worship begins. For this writer, a turning point was when Paul B. Smith, pastor of Toronto’s People’s Church returned from a missions trip in the 1970s and taught a simple chorus with just one word, “Allelujah” repeated eight times. (One publisher actually produced an overhead projector master for the lyrics.) Out of the preceding 100 years of church music at least, non-Charismatic people were for the first time “losing themselves” in worship. Allelujah or Hallelujah is a somewhat trans-lingual word, and another universal symbol of surrender to God is upraised hands. So it’s not surprising that at the same time as people sang this song with lifted hands, the charismatic movement was taking place, and with it, songs that had been heretofore reserved for Pentecostal or Assemblies of God churches suddenly found their way into Evangelical churches. At the same time, the so-called “Jesus Movement” was beginning in Southern California. It’s at this point, we see one of the main forces of modern worship, Maranatha! Music beginning as a music ministry of Chuck Smith’s Calvary Chapel in Costa Mesa. However, when I visited in 1979, a full seven years after the Time magazine cover of “Jesus People” being baptized in Pirate’s Cove; the morning services at Calvary consisted exclusively of selections from the Inspiring Hymns book my own church had purchased in the late 1950’s. But on concert nights, Calvary began each Christian rock concert with a time of worship. In fact, some argue that the Maranatha! Praise series taught the rest of the U.S. to worship. That assumption is only partially correct however, for while the Jesus People were swaying to the guitars on the west coast, a New Zealand couple, David and Dale Garratt were compiling and recording many of the new “scripture choruses” as part of their ministry, Scripture in Song. 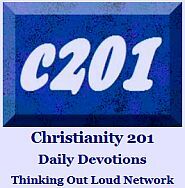 By the late 1970’s a small group had broken away from Calvary Chapel to form a network of churches called The Vineyard. The first two churches were led by Kenn Gulliksen and John Wimber. Vineyard’s music was simple, reflective and sometimes chant-like in its repetitions of key lines, while Maranatha! Music’s owed a greater debt to the country rock sound of bands like The Eagles. Vineyard’s simple approach to songwriting would later stand in sharp contrast to Hosanna/Integrity Music’s live worship albums which incorporated a slicker, tighter sound including a full brass section, jazz chords and frequent key changes which suggested a more sophisticated level of musicianship was necessary. Integrity Music albums were said to be based largely on some worship tapes that had circulated from Christ For the Nations. These recordings of live, seamless worship somewhat resembled live concert recordings. In subsequent years, Integrity Music also introduced listeners to a greater focus on who the worship leader was. First the pictures appeared on the back covers, then the front, and eventually it was hard to tell the difference between their worship albums, and the contemporary Christian music (CCM) performance “artist” albums. 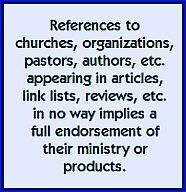 Although this was toned down in some later releases, to this day, Integrity customers want to know who is leading, and Integrity introduced us to the ministry of Marty Nystrom, Paul Baloche, Ron Kenoly, and Don Moen, just to name a few. Across the pond in the U.K. churches were embracing the music of one worship leader, Graham Kendrick. Although many Canadians know Kendrick (author of “Shine, Jesus Shine,” “Meekness and Majesty”, “The Servant King”) the one American. release on Integrity was not immediately followed up in the states., which was their loss, since Kendrick’s British. catalogue consisted of literally dozens of recordings. No discussion of modern worship music is complete without mention of Kendrick’s influence, because he paved the way for other U.K. worship ministries. The entire Worship Together family of albums and artists; the music of Delirious, Passion, Matt Redman and many others all originates in the wake of Kendrick’s influence. Integrity Music also introduced us to the music of the worship team from Hill’s Christian Assembly in Australia. Today, Hillsongs is a category in itself, with its trademark use of rhythm section, backup singers and huge choir (and often more than one choir.) It restores a connection between modern worship and the black gospel choir or mass choir; which owes its roots to the ‘spirituals’ sung in the deep south of the U.S.
Just as Hillsongs is roooted in a local church, often a congregation will popularize a single chorus. Jack Hayford’s “Majesty” came during his pastorate at the Church On The Way in California. This brings us to today’s megatrend of “double albums” on CD. The vinyl and cassette customer never fully embraced the concept of “samplers” but the Compact Disc medium seemed perfect for it. Today, if it’s a double worship CD, it sells, no matter who originates it. The best example is the series of recordings released through The WoW! Partnership, which includes Maranatha, Vineyard, Integrity, and Worship Together as the primary participating record companies. But no discussion of our modern worship is complete without mention of the great influence of youth ministry. From local junior high, senior high and college & career groups; to camp minstries and major summer festivals; many of our current choruses began as youth ministry material. Many churches today “use” their youth groups to both test out and introduce new worship compositions to the larger congregation. In recent years, this trend has gone full circle, as our popular choruses become the substance of children’s music ministry. In some churches, the content of the children’s worship includes exactly the same titles the adults are singing in a nearby auditorium. What will be the next major wave in worship? We will know soon enough because of a service called Christian Copyright Licensing Inc. CCLI monitors the material being used in tens of thousands of churches, and its website chronicles the most-used choruses in a “Top 100” styled chart format, with specific charts for Canada, the U.S., the U.K. and Australia. The idea of a chart for music intended to be lifted up as worship often grates on the spiritual conscience, but it does help worship leaders’ awareness of what material is being used in other places. While each church has their local favorites, and some churches produce original music, it’s not unwise to focus on the CCLI list, especially in today’s climate where people migrate more freely from church to church. Recently, we’ve also noticed a shift in how we sing. Hymnbooks gave way to overhead projectors which in turn gave way to video text projection. Today, those texts often have picture backgrounds consisting of still photos, animations, or even full film treatment. In one service we visited (dubbed “Ancient/Future” because of elements from many generations) we counted seven different video projectors in use. The upside is that the video projector is often used by the pastor to emphasize the sequential points of the sermon, or to include a video clip. The inclusion of these began with short scenes from popular movies, but more recently an entire industry has grown up around manufacturing video clips for use around different themes and preaching subjects. The downside is that we’ve lost an important element of worship which was prevalent when we had hymnbooks: Four-part harmony. However, in its place, we have more songs emerging which use different parts sung at once, having their roots in the antiphonal music and canons of the past. The growth of the Taizé movement is another example of the growing desire for worship which is more musically complex. Rhythmically, “How Deep The Father’s Love For Us” allows a congregation to effortlessly sing in 5/4 time. What of the hymns? Many still endure, but of course some argue that many of the so-called choruses of the last twenty years are hymns. Certainly everything from “Meekness and Majesty” to the more recent “In Christ Alone” follow the hymn style, while “Wonderful Cross” simply attaches a new chorus to an existing hymn, “When I Survey.” In other churches, rediscovery of some of the “lost” stanzas to popular hymns is unfolding as is a resurgence of more liturgical elements (prayers, readings, etc.) in evangelical churches. Others have suggested that the hymns, as a form, aren’t really disappearing at all, only the mid-twentieth century ones (circa 1920 – 1960) are fading from use. The late Robert Webber probably wrote more about worship than anyone and popularized the term “Blended Worship.” Mixing “something old, something new” not only provides musical and theological balance, but is a wise move for worship leaders trying to achieve peace in a congregation with a broad demographic. Music is always changing, though; and while many of our children and youth are learning theology through music as we did when we were younger; there is no doubt that the songs will sound antiquated over time. The Bible encourages the writing of new songs of praise (see Is. 42:10) and hopefully our generation will be able to allow the next generation to create, hear and sing their own compositions which express of the ways of God, the truths of God, and the Word of God. (c) 2008 Paul Wilkinson; Originally blogged here on April 2nd, 2008; a reprint and update of an earlier article published in 2004; this also appeared on a previous blog. This article is always subject to minor revisions; last update 01/25/10.